Music is a fundamental part of human existence. It plays a huge role in our day-to-day lives and surrounds us everywhere we go. It brings us joy, allows us to express ourselves and can hold immense sentimental value. Some of us even cite music as being “medicine” and regard it powerful enough to save lives – on an emotional level, if not physical. Music has a plethora of benefits. Aside from improving a person’s emotional wellbeing, it has the ability to positively impact developmental functions. It can enhance learning and cognitive development and even improve social skills. Because of its incredible power, music can be used as therapy for the expansion of a person’s mind, body and soul, especially of young children. Here at Endeavour Early Education, we believe that music therapy is a vital component to a young child’s learning, and that’s why we incorporate it into our early learning program. To find out what exactly music therapy is, how it works and how it can help to grow young minds, we have all the information you need. Music therapy is when music is used to enhance physical and mental health and wellbeing. It has been clinically proven to improve the emotional, social and spiritual wellbeing of a person, as well as enhance their cognitive functions, motor skills, communication skills and sensory. This creative arts-type therapy has been used as a tool to help people of all ages, including those suffering from developmental and learning disabilities, mental health needs and acute pain. Children can benefit from music therapy because it can help to develop their minds. Similarly, elderly people, particularly those suffering from Alzheimer’s disease and dementia, can also experience great results. What’s more, music is widely used as a remedy for pain relief. It can help to calm mothers during childbirth, for example, and help to calm a patient before and after surgery. It is also used to stimulate the brain following a brain injury or when a person is comatose. Human brains have evolved to respond positively to music; music is a language shared by all, regardless of age, background and culture. According to research, a human as young as one-day-old can recognise rhythmic patterns. Music is introduced to a baby before language is, and for as long as records have shown mothers have instinctively soothed crying babies by singing to them. The brain also responds physiologically to rhythms. For example, you may feel a shiver down your spine when listening to music or your heart-rate might quicken. These physiological responses mean that music can effectively remedy nerves and anxiety. Music is built around structure, is formulaic and largely predictable; its organised nature is something the human brain enjoys. Human brains are amazing. Our motor systems entrain and synchronise to rhythm naturally, and hearing a song just once can stimulate the brain so significantly that it may be able to recall it for a long time after. Also, the human body may absentmindedly move in-time to a rhythm without the brain even telling it to. Because of this, music has been used by therapists to enhance learning and even improve memory – especially the memory of older adults suffering from dementia. Children respond positively to music from a very young age. Parents will even notice their very young infants being able to detect music and rhythmic patterns. It is widely acknowledged that children learn through creative outlets: music, art and play. Music, especially, is a powerful tool for teaching young children about structure, concepts, stories and more. One of the first things children will learn in early schooling is their ABCs, and these are always taught through song because it makes learning and recalling information easier. Music therapy engages the whole brain at once, instead of just specific areas, which is why it aids in early emotional and physical development. It is effective in helping to enhance a child’s wellbeing, cognitive functions and social skills, and improves their quality of life. At Endeavour Early Education we say that music therapy is crucial for child development. Aside from all the developmental benefits, it improves the health and emotional wellbeing of our children, too. Exposure to music and musical training can accelerate brain development in young children, according to a study by the University of Southern California’s Brain and Creativity Institute. The 2016 study found that musical experiences are particularly effective in developing the areas of the brain related to language and reading acquisition, as it helps children to learn the meaning and sounds of words. The brain becomes more attentive when stimulated by music, making it easier to learn and retain information. Anthropologists have found that humans have been communicating, bonding and sharing information and knowledge through music, dance and storytelling since evolution. Music has the ability to unite a group and create a shared sense of joy and belonging, and this is something that young children really benefit from. Research suggests that engaging in music classes develops a young child’s emotional awareness; increases their confidence and self-esteem; enhances their capacity for empathy and allows them to learn how to interact with other children around them. To play an instrument or to keep a rhythm requires strong focus and hand-eye coordination. 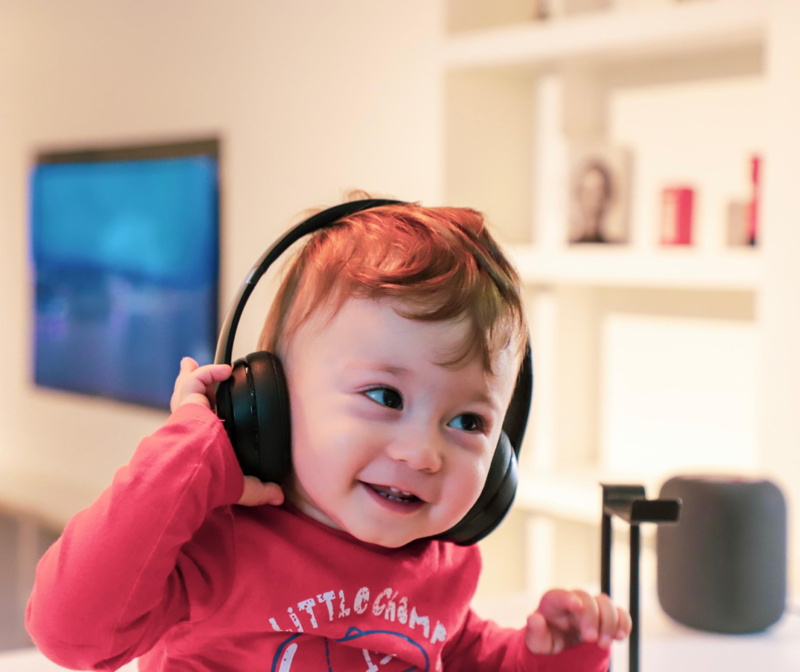 Music also aids memorisation, as young children prove they can remember nursery rhymes and lullaby rhythms long before they can speak fluently. Using music as a tool for literacy learning (i.e. learning the ABCs through song) has impressive results and can help to improve long-term brain recall. Music therapy can be incredibly effective in improving a young child’s school readiness. It ignites a child’s interest and curiosity for learning, which will mean they will remain engaged and interested in learning when they go to school. Music therapy doesn’t only lend to academic achievement at school, but benefits all aspects of growing up. 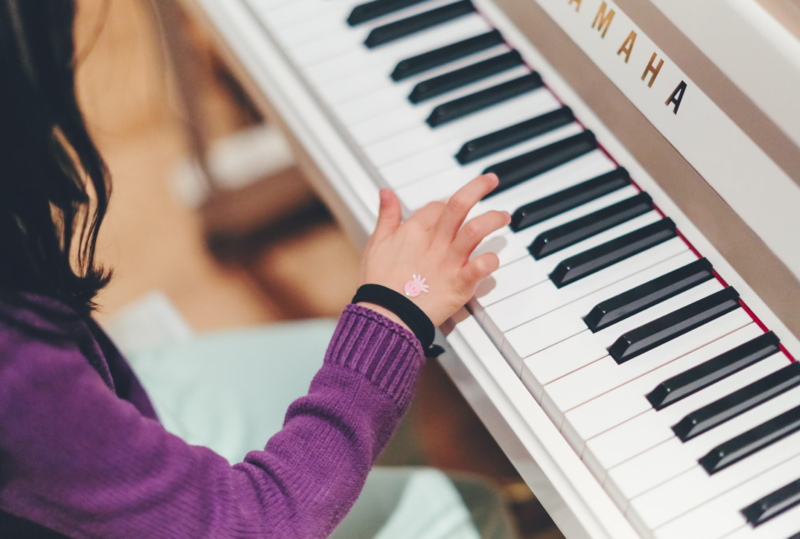 By enhancing their cognitive, motor and language skills through music therapy, they will become more intellectual and able to keep up with school classes in the future. By experiencing music when surrounded by other children, a child will learn how to be sociable and emotionally aware of others, which will help them to make friends at school. And by playing freely with musical instruments and expressing themselves through rhythm and movement they will develop a sense of self, which is paramount to succeeding in life. With these tools acquired through music therapy a child can become both intellectual and emotionally intelligent. They will then be in a fantastic position to begin school, and will be able to hit the ground running as soon as they get there. Music therapy for young children can help to ease any worries or anxieties they may be having and help them to feel comfortable in early education. This is because children can become entranced by a musical instrument or even just a simple rhythm, and become distracted from their worries and fears. What’s more, music therapy is profoundly effective in developing a child’s emotional capacity and sense of self. Children can practice self-expression by dancing to music, which in turn helps to develop motor skills. Perhaps the most important thing that music therapy can give to children is the gift of joy. While the developmental benefits of music on young children are important, seeing a young child engaged in a musical experience and be filled with unadulterated joy will do them so much good and ensure they have a rich quality of life. What does music therapy look like? Music therapy classes are structured around enjoyment and experimentation. Children are brought together in groups and are encouraged to play with musical instruments as well as listen to the sounds they make. Teachers guide the class to create music and rhythms together, and also engage in group singalongs. Through these sessions, a child’s sensory systems are heightened, and so is their intrigue. They learn to enjoy experimentation and become comfortable in groups, observing other children and other sounds around them. Before long, children will display confidence and incredible memory recall for rhythms and songs. The benefits of music therapy are monumental – for adults and children alike. Its ability to ignite and connect mind, body and soul is remarkable, and it is something we advocate proudly at Endeavour Early Education. We believe that harnessing the power of music can give your young child the best start in life by enhancing all areas of their development. Most importantly, music therapy is enjoyable and creative. After all, children learn best when they are playing. Give your little one a head-start in life and bring out their full potential by enrolling them in Endeavour Early Education today.